Do you ever feel like you need a “time-out?” A special break– away from the moment, not because you ‘got in trouble,’ but, because you’re feeling troubled? When I feel that way I rely on lavender to soothe and ease my woes. 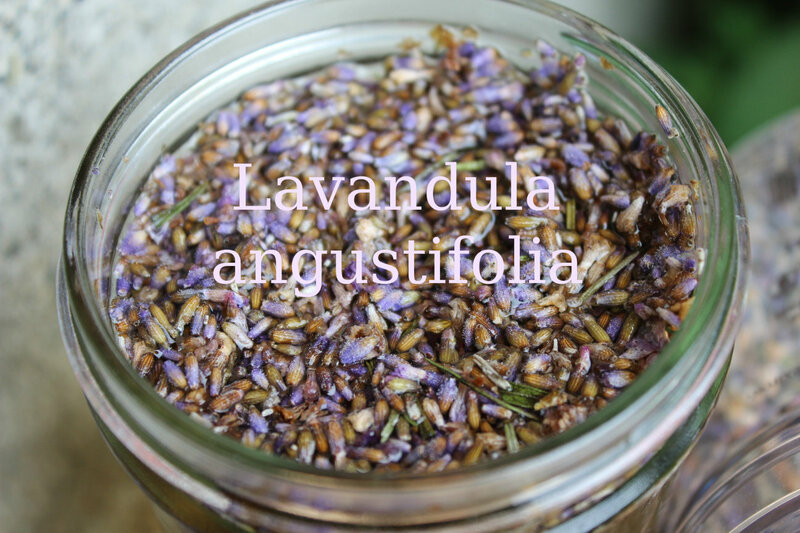 Lavandula angustifolia has been cultivated for centuries for it’s many uses and healing benefits–namely for stress relief, relaxation, and restful sleep. For me, the sacred scent of lavender is what I need on a tough day, or any day for that matter. The deep, intoxicating, uplifting scent sweetly suggests the mind to relax and be peaceful. This easy-to-grow herb is a welcome friend in my garden; and the benefits and uses of the lovely flower are bountiful. Lavender oil is a good addition to most skincare products. Let’s be honest… Some days the only time I can eek out for myself might be in the shower. But who am I kidding? As my 10-month-old plays on the bathroom floor, she often whines at me while I wash. She has an uncanny, “Mama’s dripping wet and busy” sort of radar, and likes to exercise all of her sweet baby-isms while I’m busy. Honestly, I could pretend that it doesn’t bother me, but that’d be silly, and every mother in the world would call my bluff. Most often, I wish for a peaceful shower, and if I can’t get that, I can at least draw upon my herbs my when I need extra support. In a lidded jar, pour boiling water over dried lavender. Cover and shake. Let the infusion cool to room temperature for several hours, shaking periodically. Once cooled, add remaining ingredients. Bottle in a squirt or spray bottle. Use as a conditioning hair rinse after shampooing. It is not necessary to rinse out of your hair. The vinegar smell is faint and dissipates completely. (I use a homemade marshmallow root shampoo bar and always follow up with some sort of a vinegar rinse). -When applied with a fine-mist spray bottle, this would make an excellent burn spray! Lavender essential oil and apple cider vinegar are supreme in the treatment of burns. Hydrosols, also known as floral waters, hydroflorates, flower waters or distillates are produced from steam-distilling plant materials. Hydrosols have similar properties to essential oils but are much less concentrated. Unlike their “essential oil added to water” counterparts, true steam-distilled hydrosols contain all the beneficial components that whole plant materials have to offer. 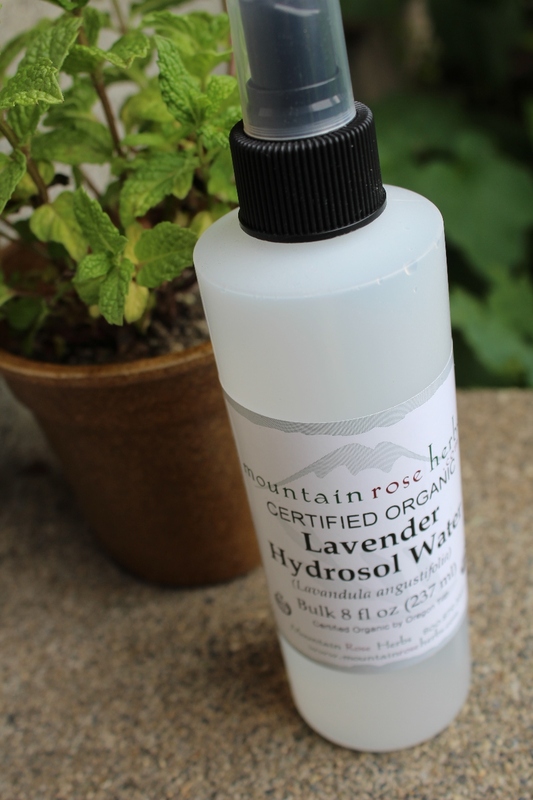 Hydrosols are usually a by-product of essential oil production, but the highest quality comes from devoted distillers who, with artist-like precision, steam small batches of fresh floral and plant material strictly to produce hydrosol (the hydrosols offered by Mountain Rose Herbs are produced in this fashion). Most of our hydrosols are distilled in copper stills, (a few in stainless steel stills) and processed through certified organic methods in the Pacific Northwest and Europe. Hydrosols contain all of the essence of the plant in every drop, just like essential oils but in a milder form; making them suitable for all manner of applications where essential oils would be too strong. In most hydrosols there is less than 5% actual oil. Wonderful as a facial splash, body perfume, deodorant or air freshener. Cool a hot flash, change your mood, or add them to lotions and creams. Hydrosols should be kept in a cool, dark place, and refrigeration is recommended unless you will use them within a short time. Each of our 3 oz and 8 oz hydrosols are packaged in an amber bottle with a black mister. The bulk 16 oz and 1 gallon sizes are packaged in HDPE plastic bottles. 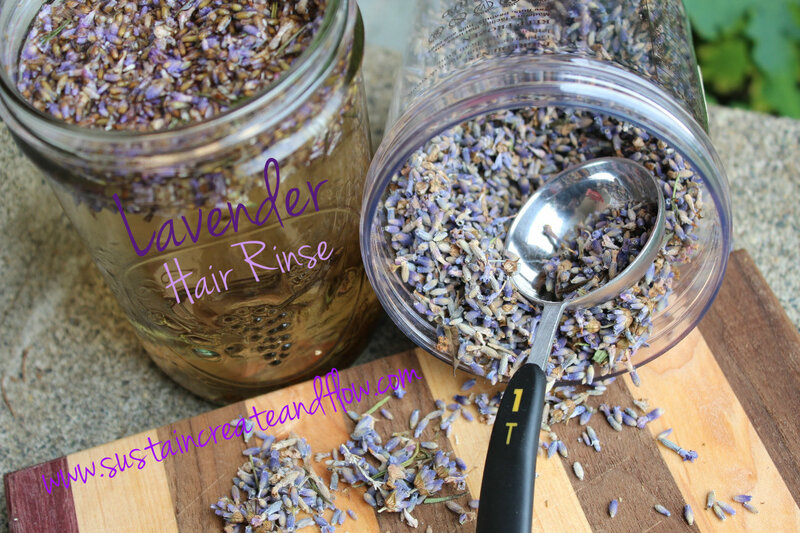 How do you make your hair rinses? Do you love lavender as much as I do? Let us know in the comments below, or join the community on my facebook page. Follow me on Pinterest– and you can easily pin this post by using the icon in the left side bar. Absolutely love lavender. I use it for many of our family every day uses. I I totally Love Lavender. I plan to make this – but do I have to have the lavender hydrosol? Is there any substitute or can i leave it out? 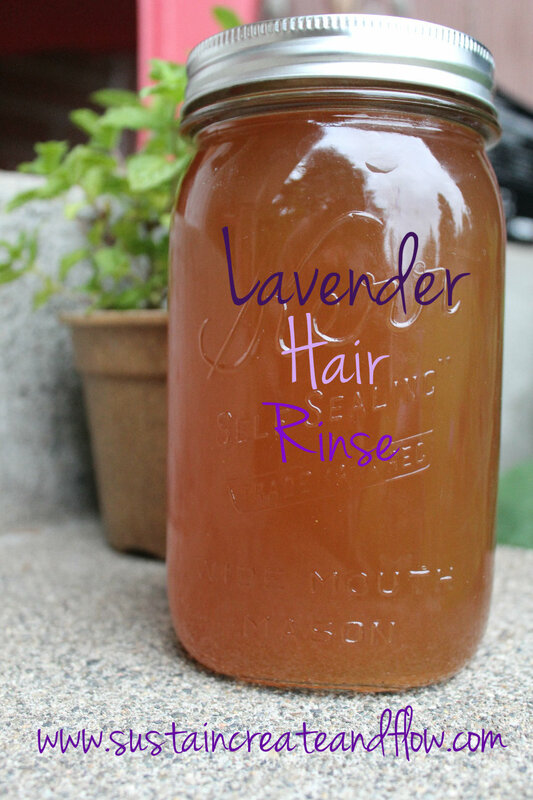 I don’t mind vinegar in my homemade hair care but I’m looking to make this as a gift (as well as myself, great post). Not sure how much others would mind the vinegar. Question, any substitutions for the vinegar or how much would it effect the final product to omit. It’s also a bit hard to come by dandilions now! Ty Ma’am, I was thinking the same as you on all points. I’m think I will mix it up & try a bit w/ the vinegar for some time then w/out. Does lavender change your hair colour? I’ve been washing my hair with lavender water (I bassically make tea with just lavender and water, let it get room temperature and wash). I have virgin hair and I feel like it is turning my gingerish-blonde hair to just blonde.